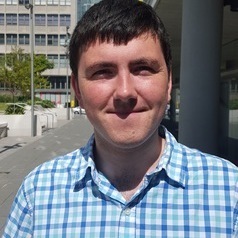 Craig Anderson graduated with an Honours degree in Statistics from the University of Glasgow, and then achieved his PhD in Statistics within the same department under the supervision of Dr Duncan Lee and Dr Nema Dean. The title of his thesis was "Identifying Boundaries in Spatial Modelling". After completing his PhD, he spent two years in Australia working as a Postdoctoral Research Fellow at the University of Technology Sydney, working with Professor Louise Ryan as part of the ARC Centre of Excellence for Mathematical and Statistical Frontiers (ACEMS). He has now returned to the University of Glasgow as a Lecturer in Statistics.